We’ve all been there. 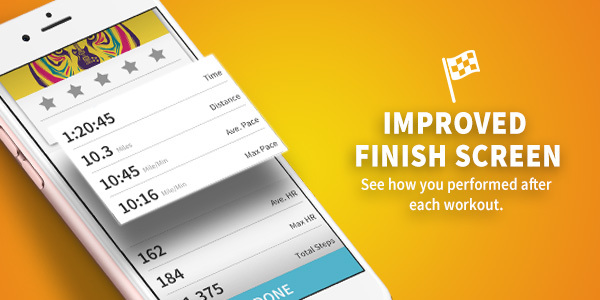 You lace up your shoes and fire up your favorite tracking app to start your workout. 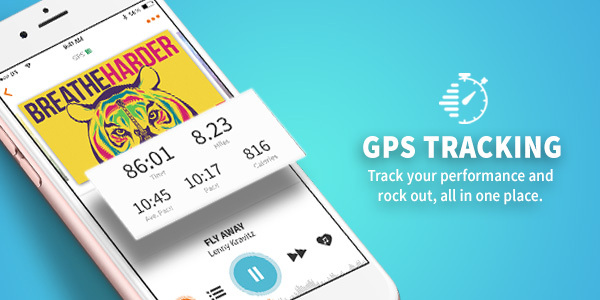 Then, you close your tracking app, open RockMyRun, select your music, and, finally, go. That’s a lot of steps, right? Even for avid step trackers like ourselves, sometimes you need a break. That’s why we’re excited to announce the latest update to our iOS app: GPS tracking. One of the first things you’ll notice when you update to the latest version of RockMyRun is the new Now Playing screen. Now, you can observe stats related to your duration, distance, and pace in real-time. Simply enable “GPS Tracking” in the app, begin moving, and watch those numbers roll in. 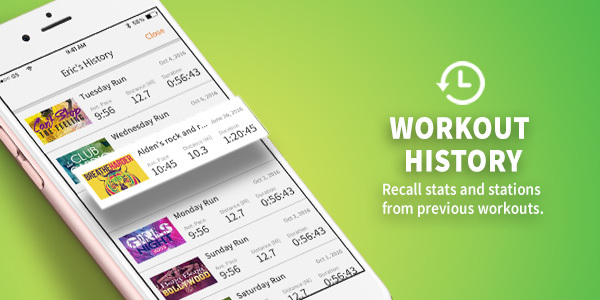 Once you’ve completed your workout, you will be given a quick recap of your performance. You can name each workout, rate and submit a review of the station you just listened to, and view your workout-specific time, distance, pace, heart rate, steps, and calories burned. You asked and we delivered. No more wondering what you listened to during that amazing 4-miler last week. From today on, you will be able to access a continuous record of each workout on your new History screen. Get the music you love and the data you need, all in one place. All you need to do is update your iPhone app now to get the latest version of RockMyRun. And most importantly, drop us a line at support@rockmyrun.com to let us know how you feel about these updates! Curious about what we have in store for Apple Watch? Check it out here.